You are looking for a flight from Glasgow to Venice? And this isn't easy... You have to transfer at least one time to arrive in this most romantic city of Europe. On this page I tell you the most details to find the best Glasgow to Venice airfare. From Leeds Bradford Airport you can take a direct flight to Venice Italy with Ryanair. Airfares are starting from 35 GBP. Historically the most expensive day for this flight is Saturday. Marco Polo airport is 12km away from Venice. It is Italy's fifth airport in size and traffic. When the plane will almost land you can see romantic Venice. Breathtaking... Sit on the right side of the plane to see the view ;-). Then after landing buy some drink in the airport before you go to the Alilaguna boat or shuttle bus! 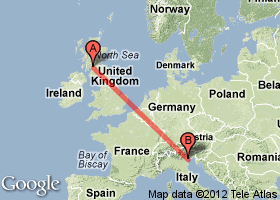 You've read about getting from Glasgow to Venice. There is plenty to explore as you see. 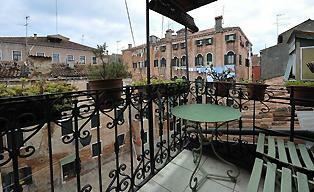 Discover Venice on my site and get more information about this beautiful Italian city.